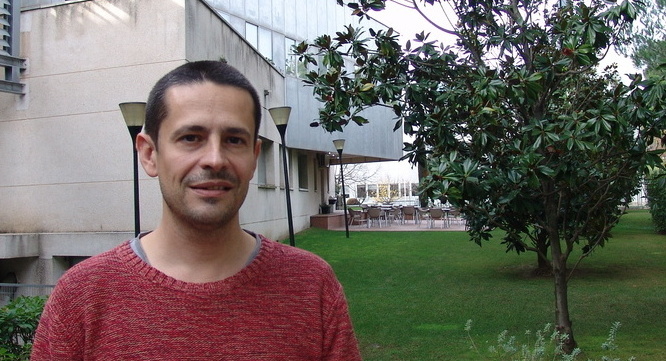 Martí Gich will carry out his “Ferrites-by-design for Millimeter-wave and Terahertz Technologies” (FeMiT) project in the period 2019-2024 with a total of nearly 2 M€ to cover the project costs. The aim of the project is developing a new family of ferrites to be used in devices of the forthcoming wireless communications, the 5G, which many people has already heard about. To accommodate the ever increasing demand in data traffic and transmission rates, the new wireless will use the so-called mm-waves, of frequencies substantially higher than today's wireless. But mm-waves only allow line-of-sight propagation over short distances. Thus, to ensure a wireless coverage, myriads of antennas will need to be deployed. In this context, there is a need of materials that can make the communication devices work at those higher frequencies but at low cost and with low energy consumption. The materials that we will develop are going to help meeting these needs. Do you think that the visibility of your research will increase? I am really excited with the prospect of doing this research and the ERC funding will boost it. I think that the grant will also be very valuable to make my research visible to engineers and open up new research opportunities. I am very happy! Martí celebrating the ERC with the ICMAB colleagues when he was notified with the good news! The European Research Council (ERC) announced the 2018 winners of the ERC Consolidator Grants on 28 November 2018. A total of 573 M€ of the Horizon 2020 Research and Innovation Programme will be assigned to 291 top scientists in 21 different countries accross Europe and from 40 different nationalities, so they can build up their teams and have far-reaching impact. The research projects proposed by the new grantees cover a wide range of topics in physical sciences and engineering, life sciences, as well as social sciences and humanities. The ERC received 2,389 research proposals this time, out of which approximately 12 % will be funded. 32 % of grants were awarded to female applicants. This new round of grants should create around 1,750 jobs for postdocs, PhD students and other staff working in the grantees' research team. For more statistics, click here. Robust disruptive materials will be essential for the “wireless everywhere” to become a reality. This is because we need a paradigm shift in mobile communications to meet the challenges of such an ambitious evolution. In particular, some of these emerging technologies will trigger the replacement of the magnetic microwave ferrites in use today. This will namely occur with the forecasted shift to high frequency mm-wave and THz bands and in novel antennas that can simultaneously transmit and receive data on the same frequency. In both cases, operating with state-of-the-art ferrites would require large external magnetic fields incompatible with future needs of smaller, power-efficient devices. To overcome these issues, we target ferrites featuring the so far unmet combinations of low magnetic loss and large values of magnetocrystalline anisotropy, magnetostriction or magnetoelectric coupling. The objective of FeMiT is developing a novel family of orthorhombic ferrites based on ε-Fe2O3, a room-temperature multiferroic with large magnetocrystalline anisotropy. Those properties and unique structural features make it an excellent platform to develop the sought-after functional materials for future compact and energy-efficient wireless devices. In the first part of FeMiT we will explore the limits and diversity of this new family by exploiting rational chemical substitutions, high pressures and strain engineering. Soft chemistry and physical deposition methods will be both considered at this stage. The second part of FeMiT entails a characterization of functional properties and selection of the best candidates to be integrated in composite and epitaxial films suitable for application. The expected outcomes will provide proof-of-concept self-biased or voltage-controlled signal-processing devices with low losses in the mm-wave to THz bands, with high potential impact in the development of future wireless technologies.